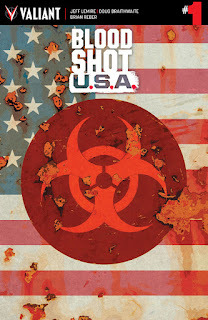 The Fellowship was fortunate enough to obtain a copy of BLOODSHOT USA #1 from Valiant Entertainment. Jeff Lemire writes, Doug Braithwaite draws, Brian Reber colors, and Dave Lanphear letters. This book jumps straight back into the action, with the Bloodshots having just escaped from their island hell. Ninjak finds them floating on a raft, rescues them and proceeds to tell them about how New York has been infected with some kind of virus. It appears to be airborne, and it also appears to affect everyone it touches. If you’ve been following Bloodshot, you have a pretty good idea who’s behind this. (They tell you pretty much at the beginning of this issue if you haven’t.) The real question has more to do with controlling the nanites than with the destruction in New York, though. This story has a lot of moving parts, and one has to hope Bloodshot can figure it all out pretty quickly. And the art is up to Valiant’s usual high standards, with some great close-up work and a few other familiar faces. Man, poor Ray just can’t get a break these days. Out of the island prison engineered to kill him over and over, and into the fiery inferno that is a New York City full of out-of-control nanite zombies. It’s a hell of a ride, to be sure. 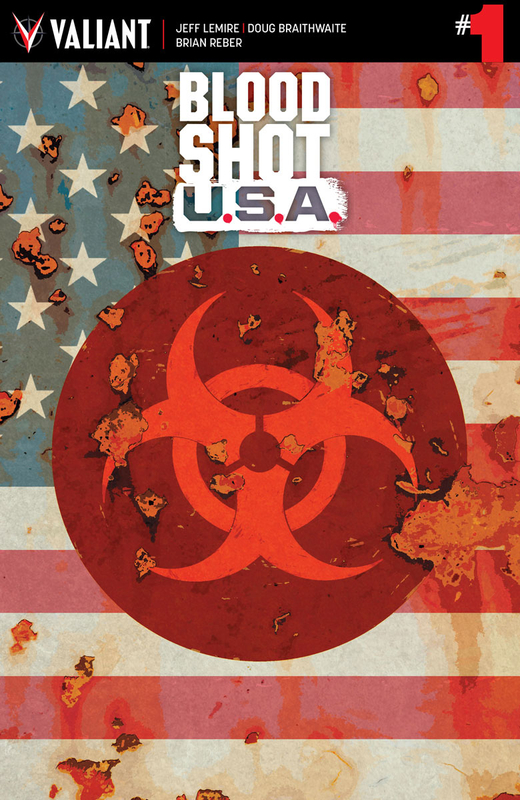 BLOODSHOT USA #1 is available now at your FLCS or at valiantuniverse.com.